Developing learners’ appreciation for nature and understanding of ecology is essential for their adaptation to a changing world and ability to be caretakers going forward. The Wildlife and Environment Society of South Africa (WESSA), in partnership with Africa Foundation and andBeyond Phinda Private Game Reserve, launched a new environmental education project in the Mduku area of Umkhanyakude district, Northern KwaZulu-Natal in 2016, and is now able to appraise the many successes it achieved. Funded by Disney through the Africa Foundation (USA), the project targeted 210 learners from five rural schools in the communities surrounding Phinda. Over a period of nine months, the project developed the learners’ appreciation for nature and increased their ecological knowledge. Disney Channel (DStv, Channel 303) has begun airing a special series of live-action shorts entitled “Eco Club”, which follows the learners as they participated in the programme. 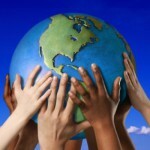 The series will air every Saturday at 06:50AM (CAT), culminating in a programming block on Earth Day, April 22nd, from 12:20. The project was delivered through in-school learning and active participation in a range of nature and biodiversity-focused activities. 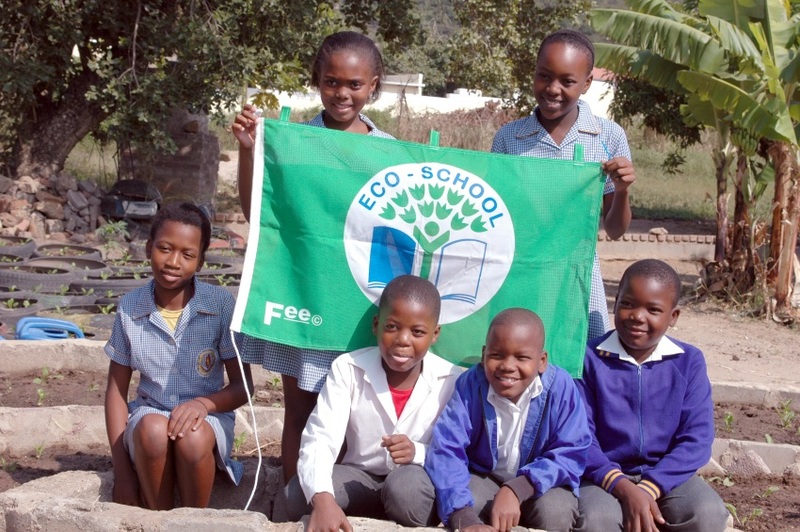 WESSA’s implementation of the Eco-Schools programme at the participating schools also contributed to whole-school development by providing the structure for environmental considerations to be included in all school management decisions. The cornerstones of the project were that learners and teachers had the opportunity to encounter the “big five” species of animals at Phinda and learn about the lesser known “little five” whilst in the camp. Both the “big five” species – elephant, rhino, buffalo, lion and leopard – and the “little five” – elephant shrew, rhinoceros beetle, buffalo weaver, ant lion and leopard tortoise – are found at Phinda. On return to their schools the learners were able to create their school’s own wilderness area by planting an indigenous garden. Learners then monitored the habitats they had created to see when any of the “little five” took up residence in the school grounds. The excursions to Phinda – characterised by much excitement and enthusiasm – were undoubtedly a highlight for all the learners. Forty learners and six teachers from each school spent a night in the reserve where they experienced Phinda’s diversity of habitats and abundant wildlife. 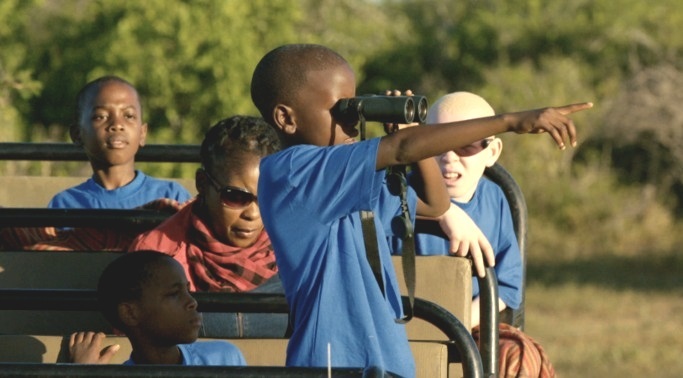 During their excursions, learners had their first game drive and participated in a specially-developed environmental learning programme around the connections between the “big five” and “little five.” The game drives helped to develop awareness among learners, of the need for conservation and an understanding of the role we all play in promoting nature and biodiversity. Reflecting back on the experience with the learners proved that each excursion had left an indelible mark in the life of each child. A further successful program of the andBeyond Phinda Private Game Reserve and Africa Foundation Eco-Schools Project was to develop the capacity of teachers at the participating schools. Over the course of the year, a series of four workshops was held for the teachers to equip them with the skills required to deliver effective environmental learning in the classroom. The first workshop took place at Bayete Camp in Phinda, where the teachers experienced first-hand the rich natural heritage located close to their schools. The next three workshops focused on developing teachers’ understanding of the aims of the Eco-Schools programme and looked specifically at the programme’s unique “Seven Steps” approach to whole school development, which complements the school curricula while at the same time stimulating active community participation. At the conclusion of the project in early December, an event was held in the Mduku community to recognise and celebrate the work done throughout the year by the learners, educators and other project partners. A special award was presented to Nkomo Full Service School for achieving highest success with their newly planted trees. Both Nkomo and Mdudla Primary Schools will be featured in “Eco Club” as it airs on Disney Channel (DStv, Channel 303). The project has created a special relationship between the Mduku learners and the natural environment. Should they return to their school 20 years from now they will be able to take pride in seeing the grove of trees they planted and fully appreciate the importance of conserving our natural resources for current and future generations. 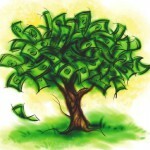 Find out more about WESSA, the Eco-Schools Programme, andBeyond and the Africa Foundation.